It’s a little box with small loose glitter 💜💖💜💖💜 I painted my nails with one coat of white (pointer and pinkie) or black (ringfinger) polish en dept my finger in the glitter pot while the polish was still wet. I closed the pot and blew away the excessive glitter and finished with a regular topcoat. 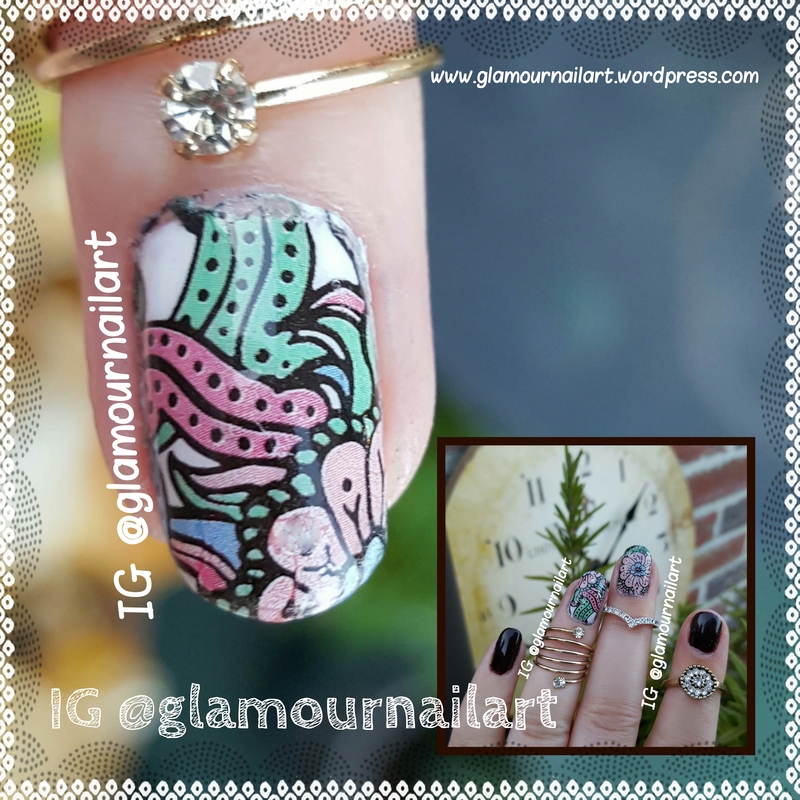 On my middlefinger and ringfinger I used nicolediary waterdecals. 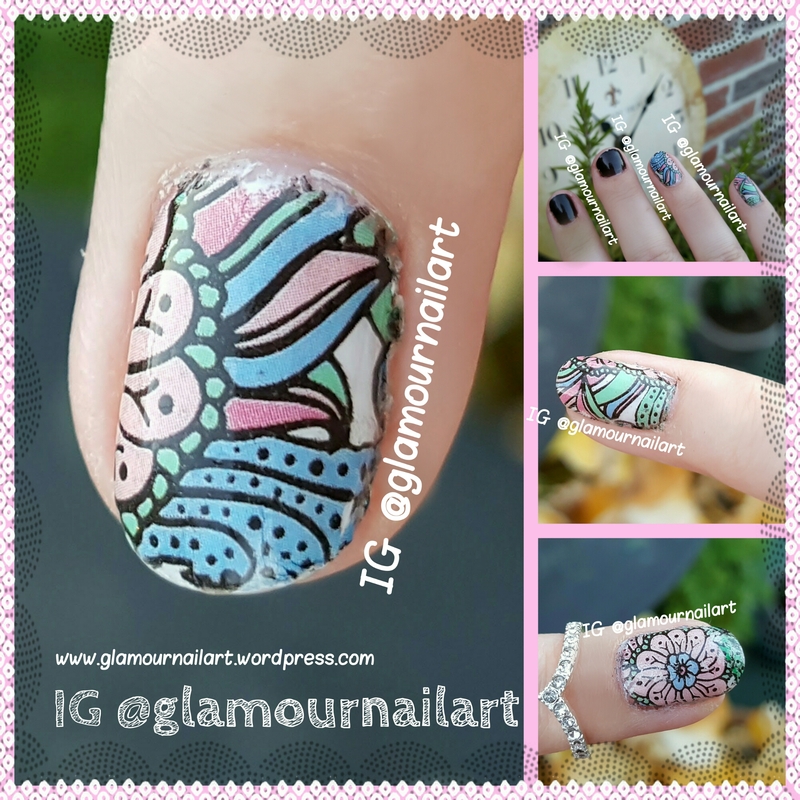 Look for Nicole diary on Aliexpress or Amazone to purchase this amazing waterdecals. 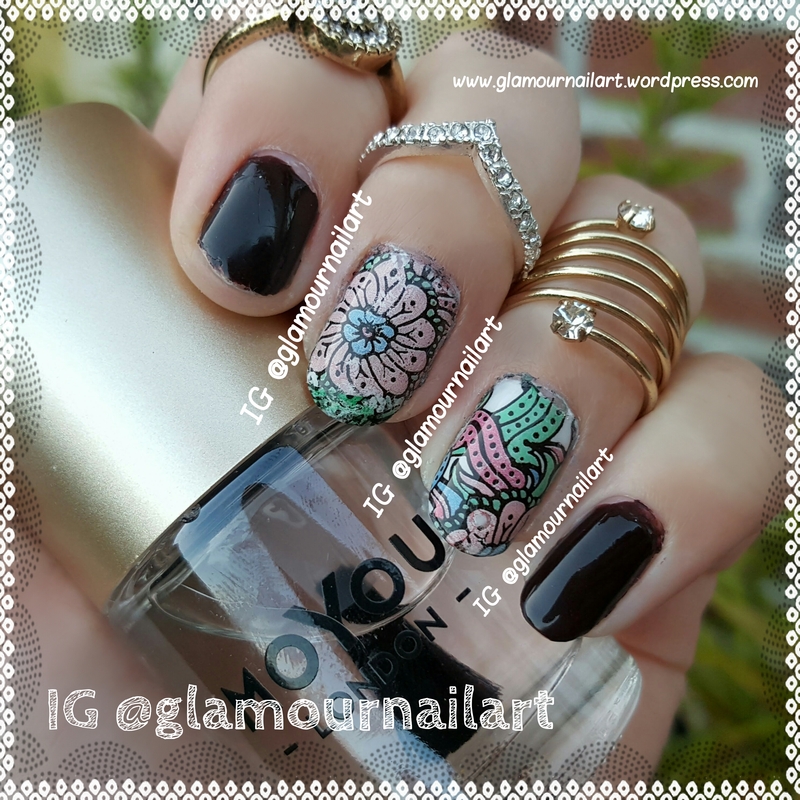 All waterdecals from Nicole Diary have a great quality and are easy to apply. Just cut them in the right shape, plunge in water for about 20 sec, place on your nails and add topcoat. Look for Nicole diary on Aliexpress or Amazone and use my gift code Ch2016 to purchase your nailart supplies. Both are great to use and have an amazing quality! I love this pastel flower decals. 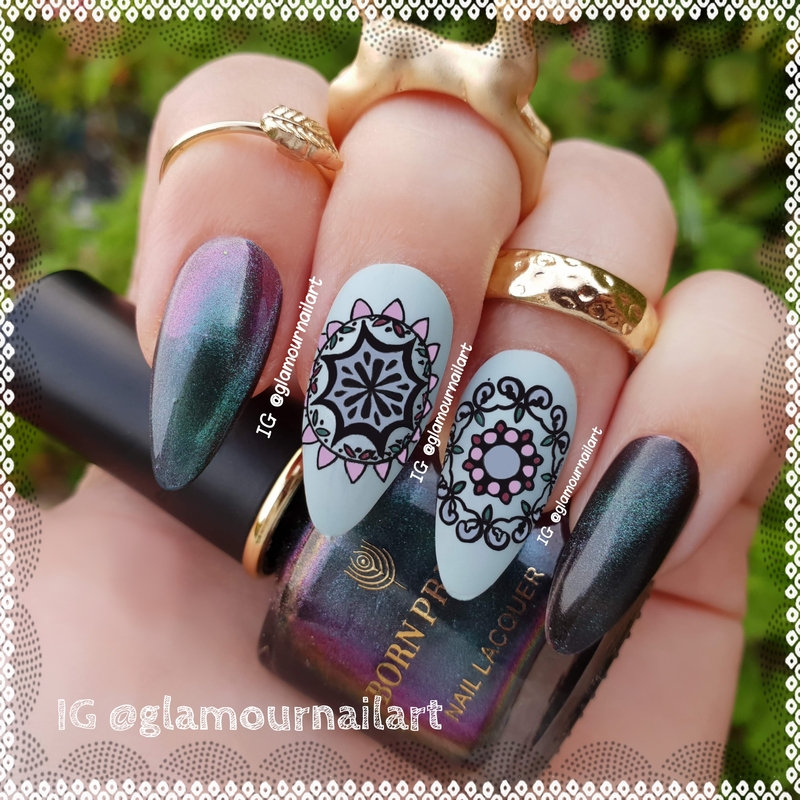 Very colorfull but still subtle to wear 👍 Cut the decal in the right shape, remove the protection foil, plunge into water and apply on your nails!